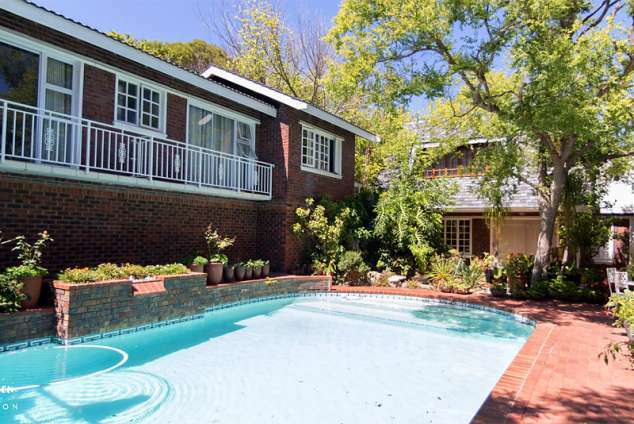 Cape Hidden Gem Guesthouses - Plattekloof Accommodation. Granite House is one of the lavish self-catering guesthouses from the Cape Hidden Gem Accommodation collection. Cape Hidden Gem offers a uniquely modern experience, and a comfortable escape in a setting that is both central and secluded. Granite House is our flagship accommodation, offering the perfect balance of escape and accessibility, situated within 15 minutes of the city centre while also within walking distance of the Tygerberg Nature Reserve. Expertly outfitted and specifically detailed by the Toerien family, this guesthouse offers all the modern luxuries one would expect from high-end accommodation, as well as the privacy and sanctuary sought after by international and business travellers. With many years of guesthouse management internationally and locally, we can promise hospitality and facilities that will exceed expectation. Surrounded by swathes of greenery as well as a variety of spell-binding views, the location is perfect for a calming getaway. With a year-round saltwater pool, excellent barbeque and braai facilities, as well as multiple comfortable sitting areas, most of our guests find themselves extending their stays and getting absorbed by the surrounding attractions. Granite House has a lavish carpeted bedroom, a contemporary bathroom, a convenient and tasteful kitchenette, as well as a large and spacious lounge. Our linens are selected for their cosiness, and boast a minimum of 800 thread count, while the towels and bathrobes are all downy and inviting. The en-suite bathroom hosts an inviting bathtub, as well as a large-headed shower and beautiful finishes. Enjoy relaxing in the open lounge, with a 40" satellite-enabled television, free Wi-Fi, and comfortable, generous couches. The kitchenette contains all the utilities and conveniences you may need for a self-catering stay, as well as a stock of basic foodstuffs so that you don't need to worry about the essentials. On the other hand, there are plentiful options available to dine out in the near vicinity, including De Kelder Restaurant, Café Chameleon, and Greens Restaurant (to name but a few). All in all, our Granite House is a place of renewal and seclusion, specifically created to make our visitors feel safe and secure. We aim to provide a hassle-free, simple service with exceptional standards, leaving you refreshed and relaxed as you continue your journeys. Our latest addition to the Cape Hidden Gem Accommodation selection is the contemporary Agate Suite, a tastefully decorated first floor guestroom, nestled in the quiet suburb of Plattekloof. Overlooking our year-round ocean-water swimming pool, attractive angular design elements and ample lighting make this modern guest accommodation a luxurious escape for both couples and solo travellers seeking undisturbed rest on their journeys. Featuring all your modern necessities, including a queen-sized double bed, ample fitted cupboard space, free WiFi, a large wide-screen television and a spacious en-suite bathroom, these impressive sleeping quarters are yet another jewel in our carefully crafted and expertly serviced accommodation offerings. Enjoy our hospitality and relax in style in Cape Hidden Gem's Agate Suite. 238 page views since 25 Oct, 2018. Last updated on 30 Nov, 2018.